As we grow older our metabolism seems to depreciate and as a result we grow bigger in size... I am not a fan of dieting and starving yourself to death just to achieve your desired and acceptable weight and size. This time around for the whole weekend I have prepared my self a vegetable and fruit diet. Oh goodness it is satisfying and fulfilling to me. 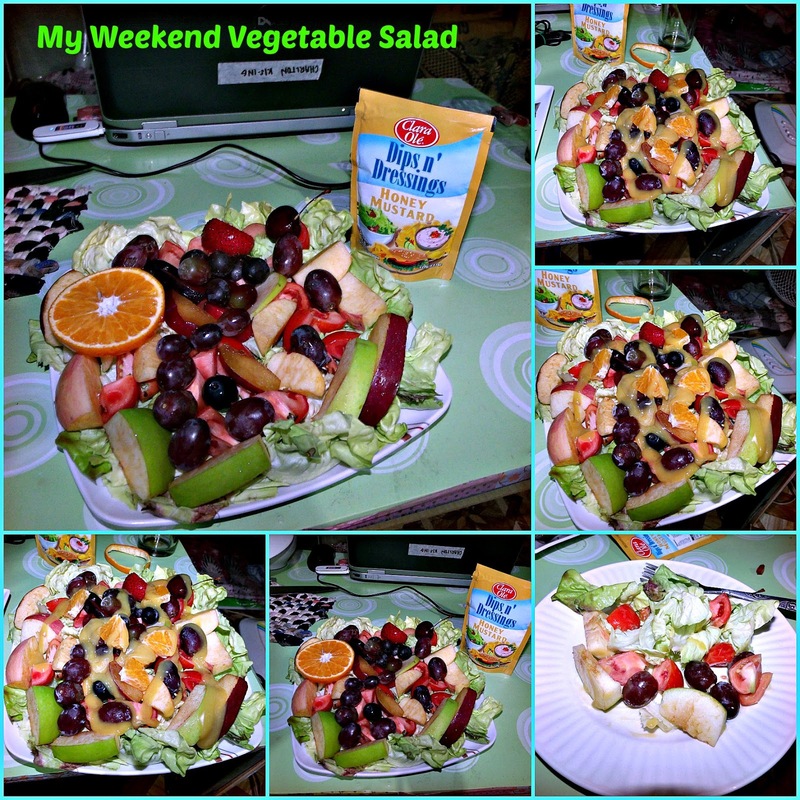 It is already my 3rd weekend of eating fruits and vegetable only. Of course during weekdays since I work at night I need to eat rice still. You can basically just add any fruits and vegetable there.